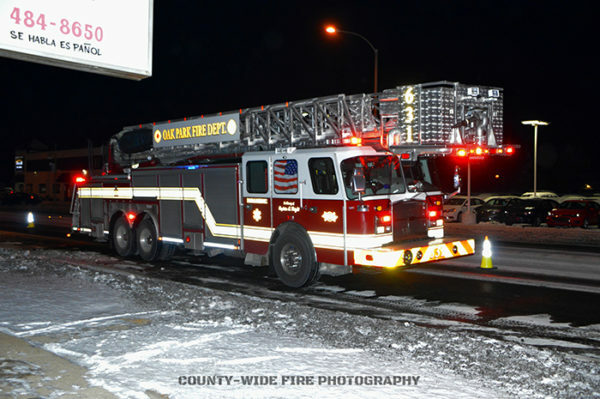 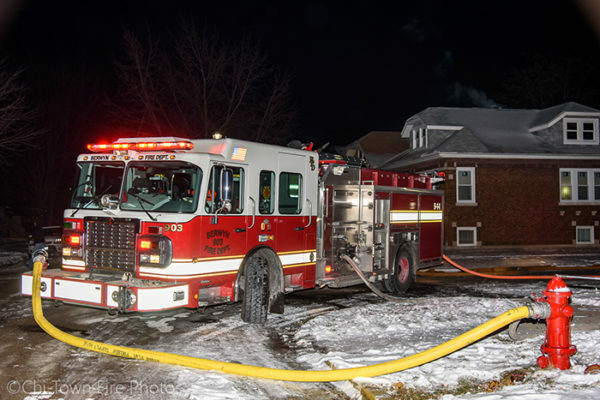 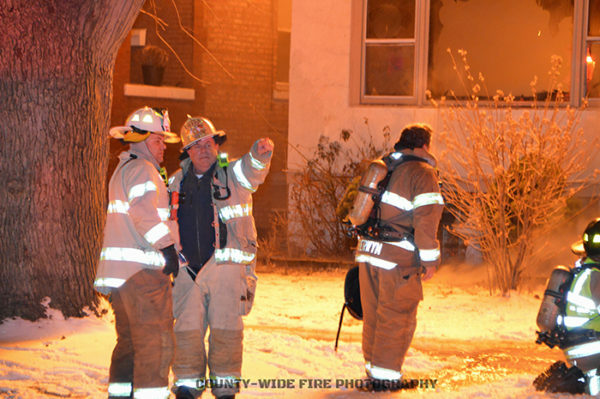 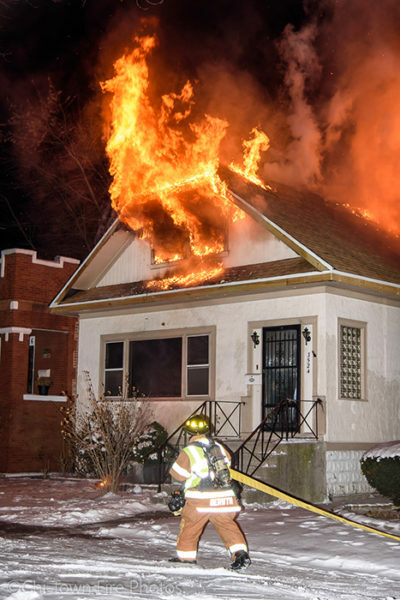 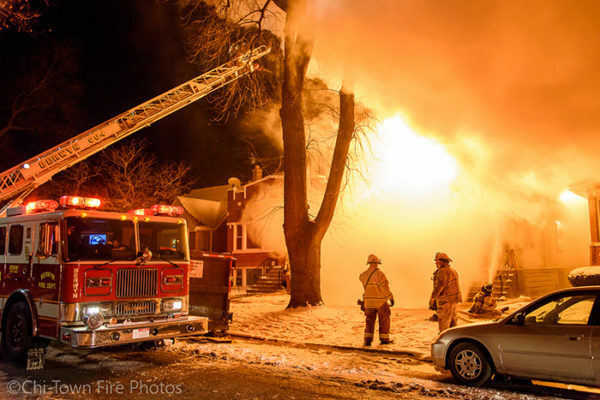 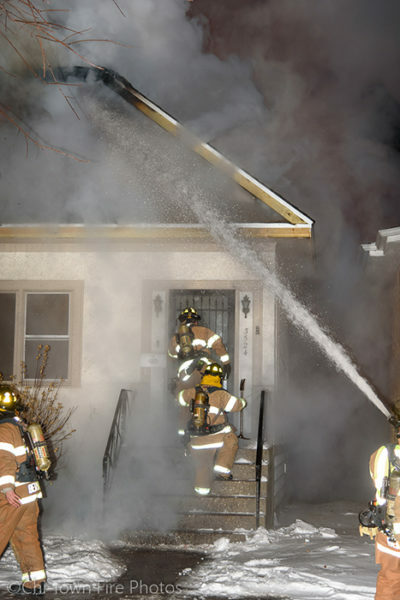 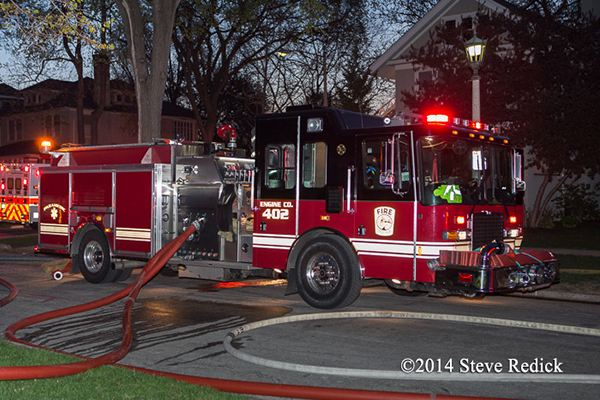 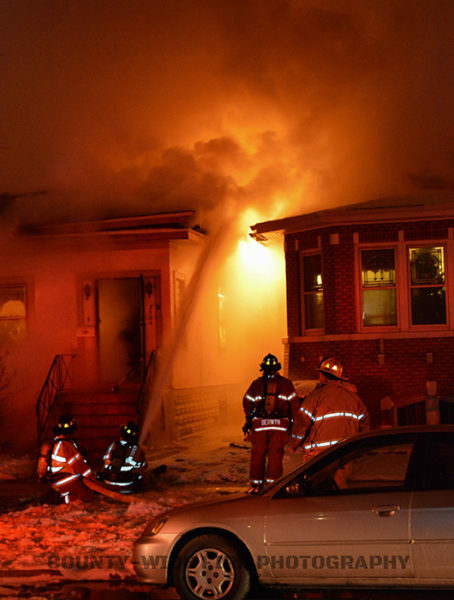 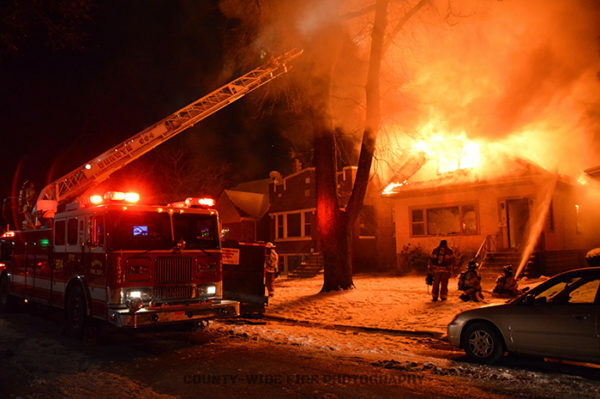 Berwyn (IL) firefighters responded to a call for a house fire Tuesday night (12/26/27) @ 3524 s Gunderson. 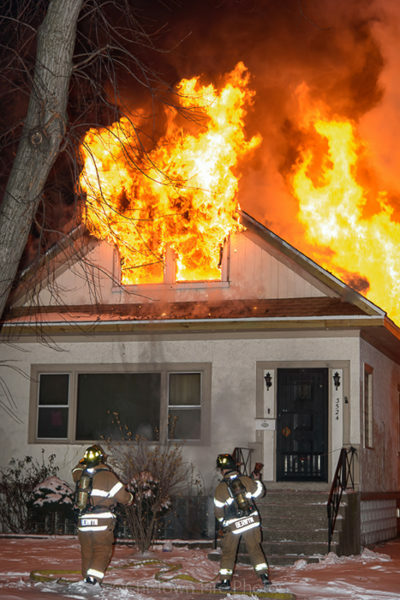 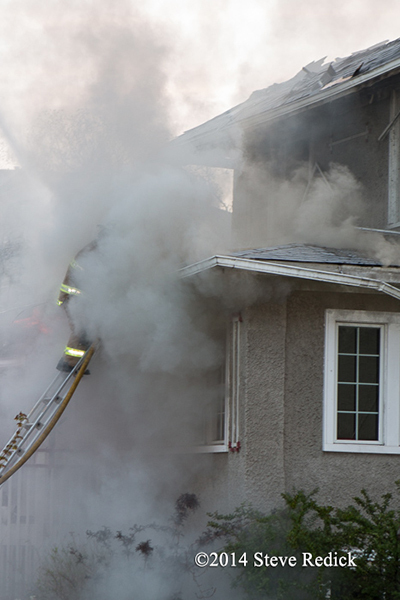 First company arrived and found a 1.5-sty bungalow with a fully involved attic, that had already extended to the exposure to the north. 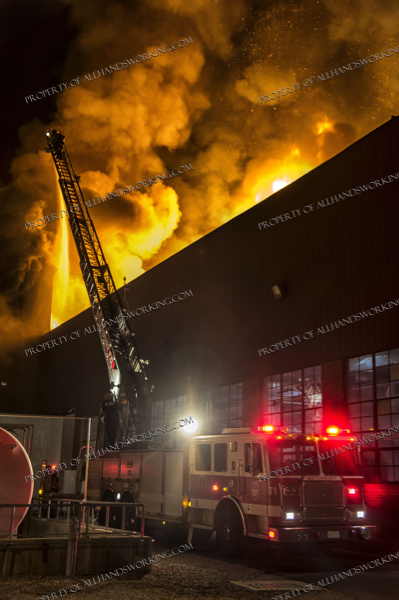 Companies lead out 5 lines in total, and used the aerial pipe to bring the fire under control. 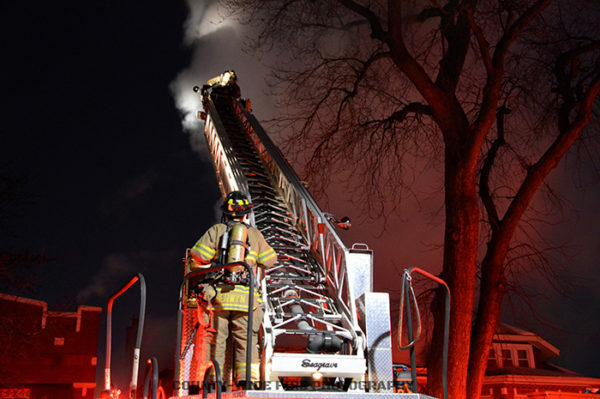 I arrived with the first company. 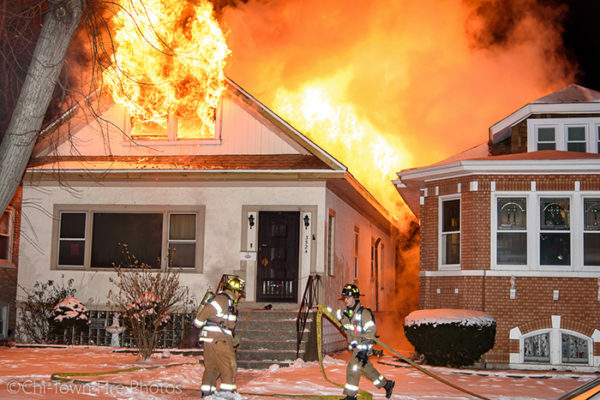 Here are some photos of Berwyn’s (IL) Box Alarm house fire at around 21:00 hours on 12/26/17 at 3524 S Gunderson Ave. 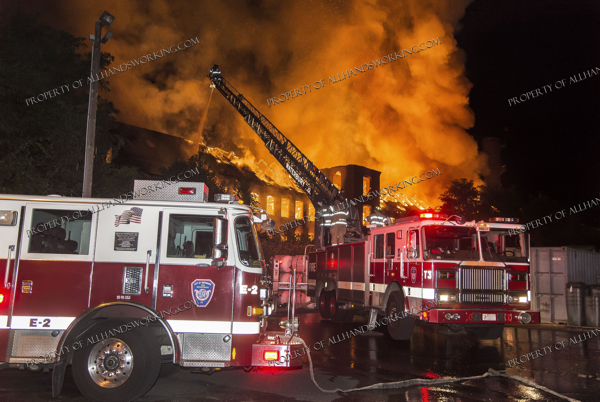 There was heavy fire showing from the Alpha and Delta sides on my arrival. 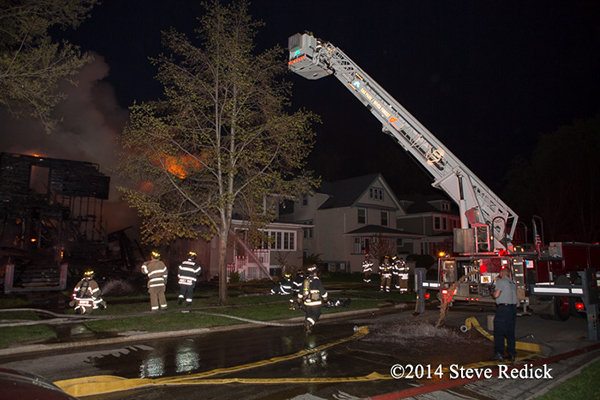 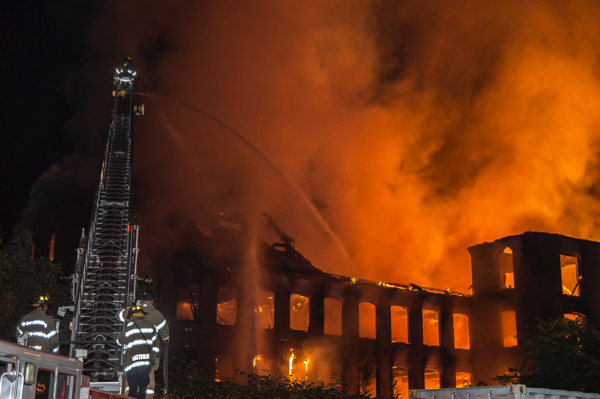 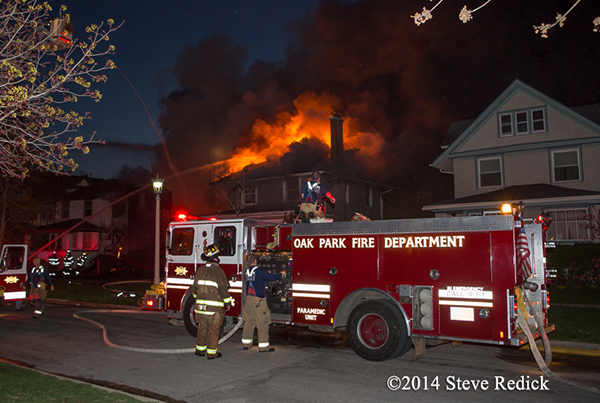 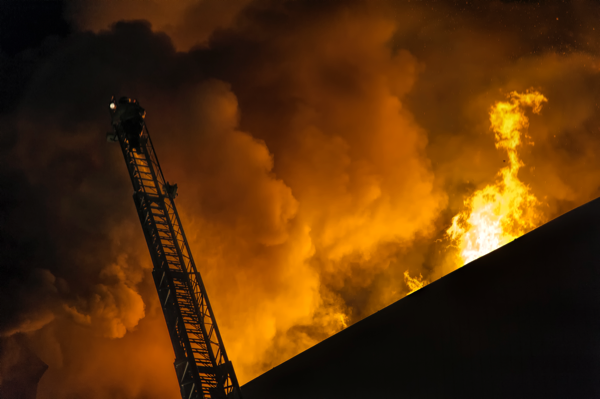 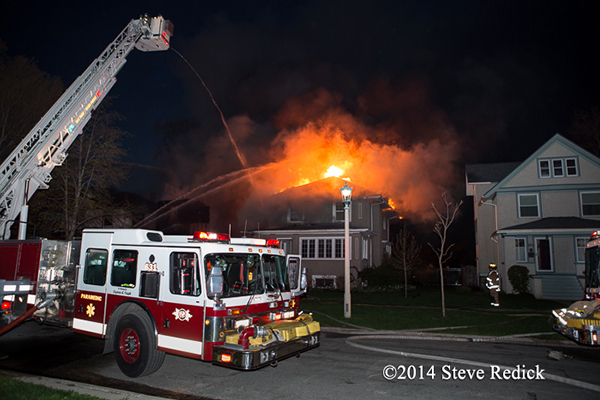 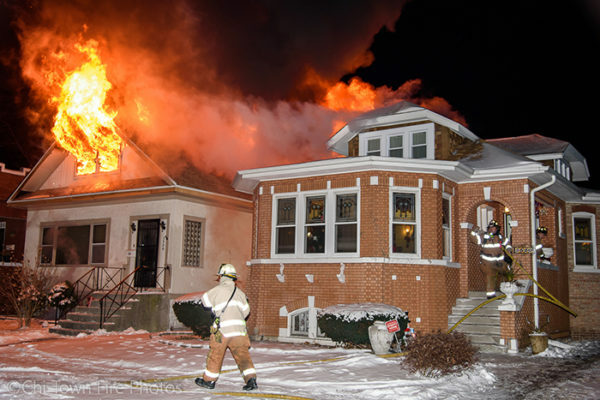 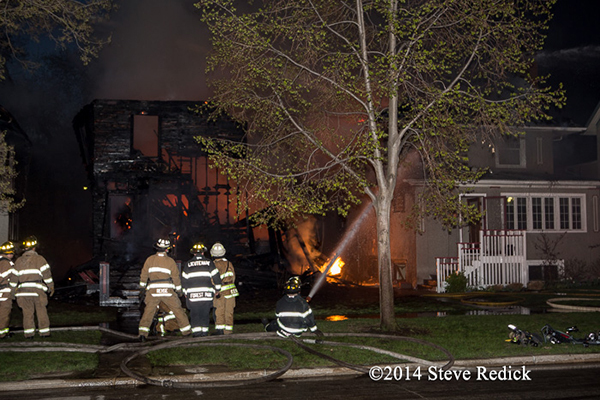 This fire was about 0400 hours Sunday morning, near the intersection of Harrison & Clinton in Oak Park, IL. 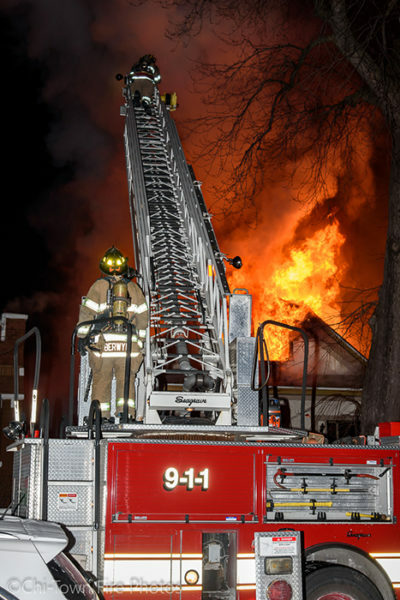 The original fire building, apparantly a 2-1/2 story frame was nothing but sticks when I arrived … totally consumed. 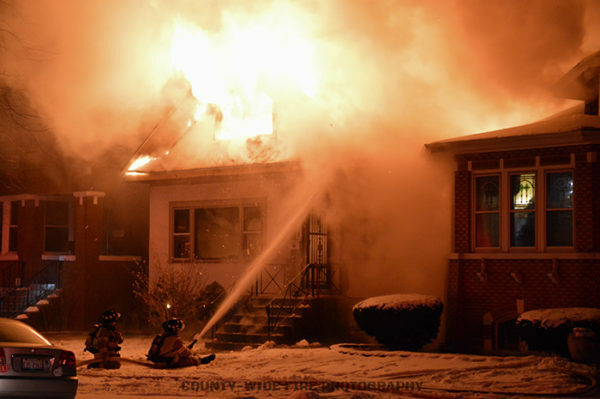 The fire had a good hold in exposure 4 and pretty much burned the roof off of that, and was well into exposure 2 as well. 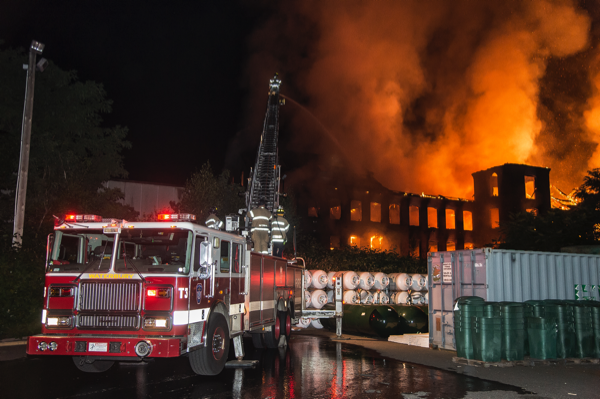 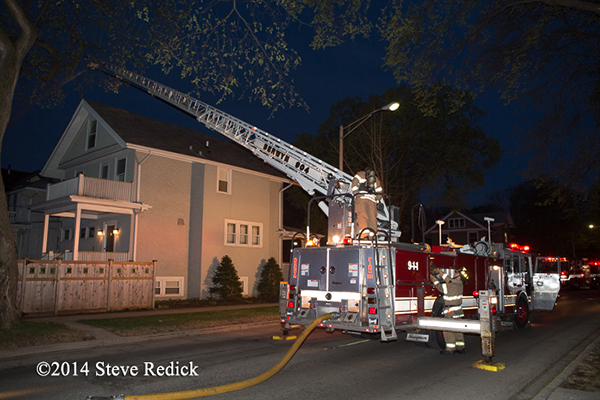 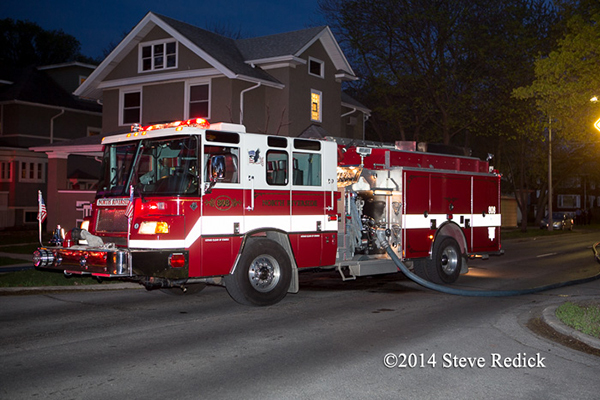 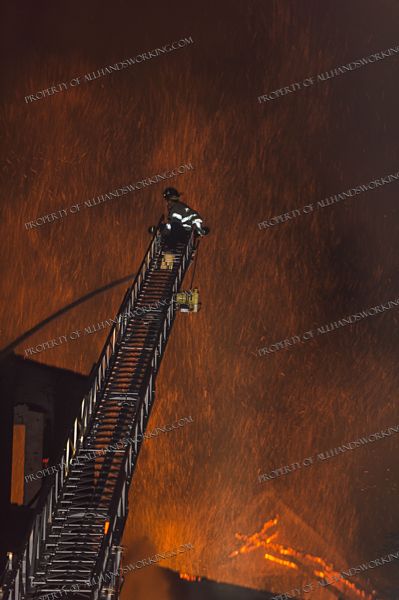 The Oak Park tower operated as well as a deck gun and several hand lines. 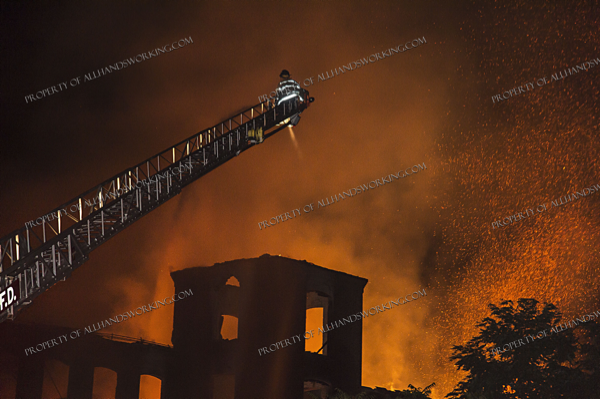 Berwyn set up their aerial pipe at the far end of the block, but to my surprise was able to hit the fire pretty well from that vantage point. 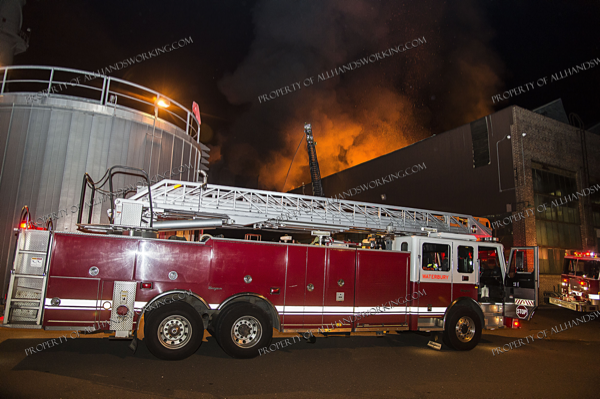 Shot a lot of rigs. 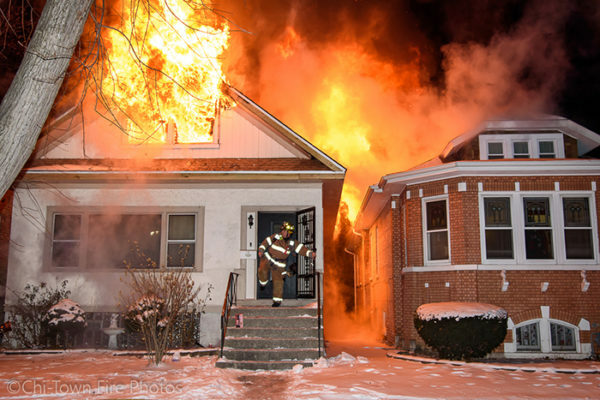 An interesting job to see in an area I don’t get to much.